If you can remember Salem from Sabrina the Teenage Witch, you may envision a wise-cracking alley cat whose sass vastly outweighs his scare factor. But the new iteration of Sabrina’s familiar is a bit, well, more haunting than before. 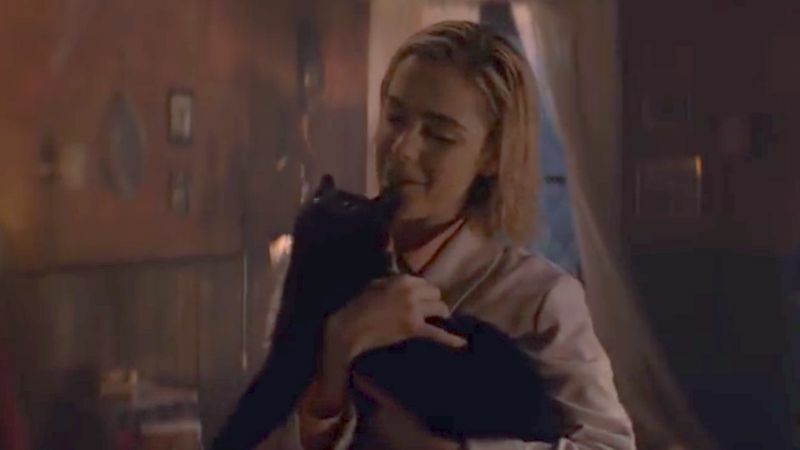 In a new clip from Netflix’s The Chilling Adventures of Sabrina, we’re introduced a darker, more sinister version of Salem, complete with echoey, exhasperated line delivery and a slender, demon-like form. Although he does transform into a “pretty kitty”, said kitty doesn’t actually talk, deviating from the 90s TV show once more. This will probably piss off a few fans of that era, but judging by the YouTube clip’s 3300-to-40 like-to-dislike ratio, it seems not too many people are fussed. Get your fix of demon kitty cuddles below. The show sits the streaming network in South Africa on 26 October 2018.